... even as buybacks, occasional short squeezes and gamma-imbalanced dealers keep bidding up the S&P500, a new variation on a theme has emerged. As Nomura's quant team lead by Masanari Takada writes, "with a euphoric mood prevailing, the S&P500 is approaching ~2,900, supported by buying inertia in a lower volatility environment." Ah yes, but the question again is who is behind the buying, and as Takada notes, there has been no noticeable change in the exposure of major speculative players, "but we estimate CTAs or systematic trend-followers bought a small amount of US equity futures to passively follow the market trend." That said, as the chart below shows, even these systematic players are tentative at best, and furthermore, the buying speed of CTAs on S&P500 futures and NASDAQ100 futures seems to be gradually decelerating. However, as Nomura cautions, if the S&P500 does break above ~2,900 and its momentum increases further, CTAs will be compelled to return to their buying stance. However, with most companies now in the buyback blackout window, few outright shorts left standing, and VIX net spec near record short positions, one key group continues to ignore the move higher. 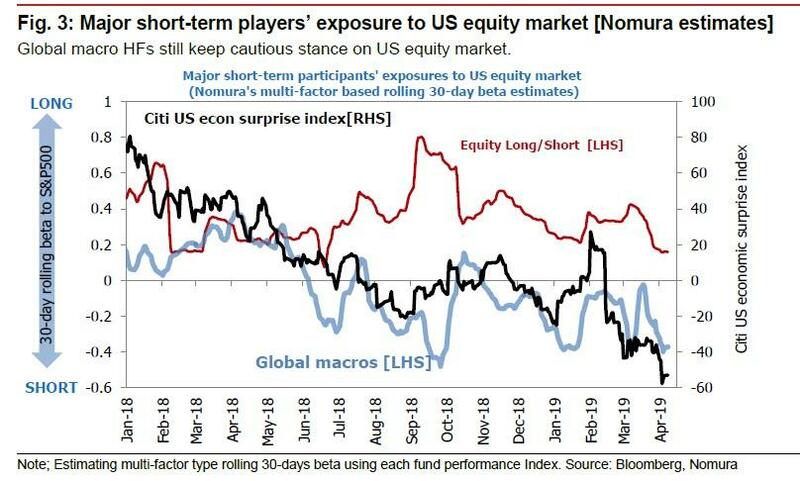 And as Nomura writes, the bank currently views how “discretionary” players such as equity L/S funds and global macro HFs – who maintain a cautious view on the sustainability of the US stock market rally – behave as an important factor. "Important", mostly, because unlike their algo and quant peers, the carbon-based traders making the discretionary decisions whether to buy stock, refuse to drink the cool aid. 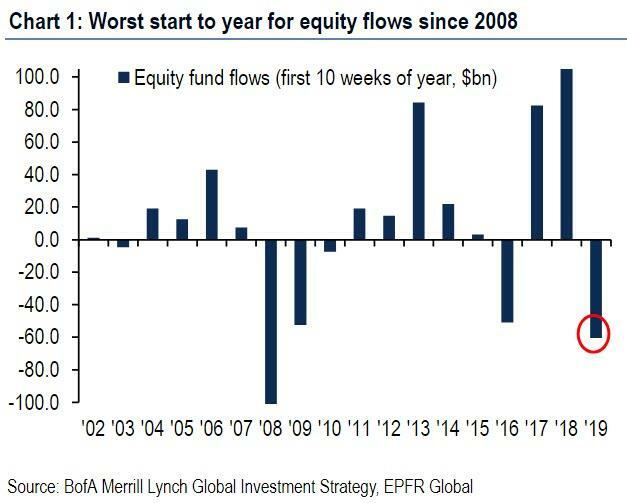 And this is where Marko Kolanovic's bullish theory comes in: as a reminder, the JPM quant has been pounding the table on his 3,000 S&P price target because, as he repeatedly has claimed, it is only a matter of time before traditional long/short and macro investors jump into the market, leading to a blow-off top phase a la January 2018. Only... that's not happening. And as Nomura explains, echoing what Kolanovic has said, "depending on whether they pull out all the stops to trigger a US stock market sell-off with S&P500 at ~2,900, or they stop extending their current trades targeting a US stock market correction and switch to chasing the upward momentum" the fate of the market is in the hands of the "major" players. And here is the problem: as shown in the chart below, having missed the move from 2,300 to 2,900 (plus or minus a few points), both the equity L/S and global macro crowd refuse to be dragged into this rally, which they clearly refuse to believe. In fact, their exposure is the lowest it has been in years, and instead of tracking the market, they are tracking the Citi US econ surprise index, i.e., at least to one group of traders, the market is not even the (Fed manipulated) market anymore, it is the economy. In other words, absent a substantial rebound in economic indicators in the next few weeks, the historic post-Christmas and post-Mnuchin-calling-the-plunge-protection-team rally is on its last leg. 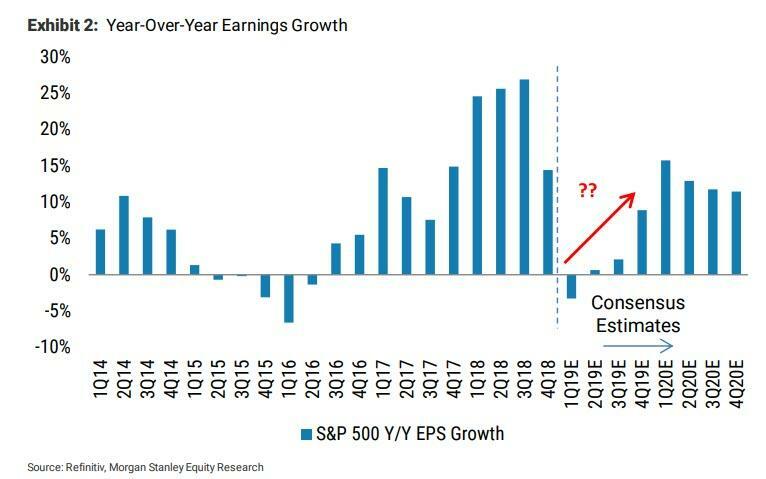 ... an earnings season which a very contrarian Morgan Stanley has predicted will not be the "one and done" poor quarter, but be the start of a protracted earnings recession (one which may mutated into a full-blown economic recession), something which will not give those investors who are on the fence confidence that they should be jumping into the stock market. Incidentally, last year Morgan Stanley, while a sole voice of skepticism, was the most accurate predictor of what happened in the market. If they are right this time, we may have seen the highs for the year.